You are currently browsing the tag archive for the ‘echidna’ tag. Week 6 coincided with a lovely Valentine’s Day weekend in the remote and rugged town of St. Helens, on the southernly edge of the Bay of Fires Conservation Area. 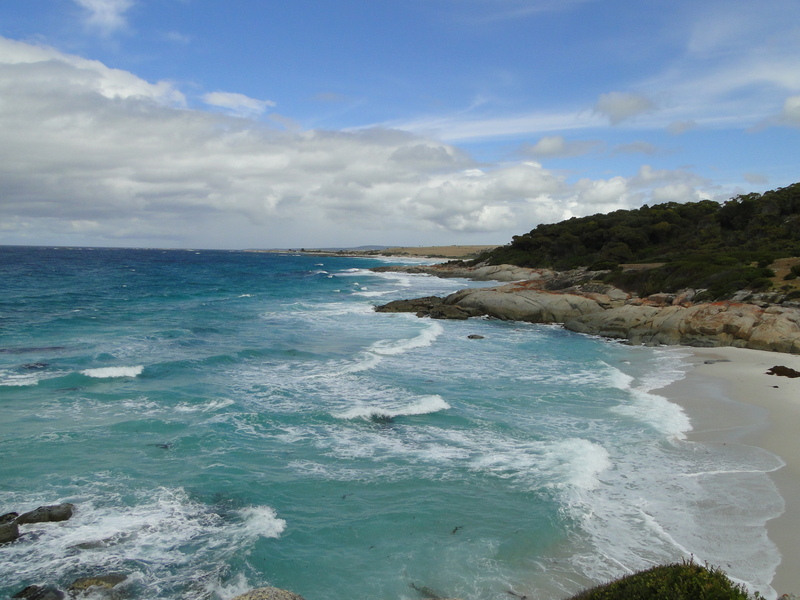 An afternoon hike in the Bay of Fires was the perfect “us” weekend moment – 4 hours of sand, surf, brush, beach, blazing our own trail in the sun. The Bay of Fires is known for its rugged coastline, white pristine sandy beach, turquoise waters, and orange lichen stained boulders. Needless to say, gorgeous but challenging hiking terrain. We beat the beach by spending much of the trail in the brush that took the place of normal sand dunes, and side detours through and to a large inlet lagoon. After our exertions, we sat down at a bayside cafe for a drink and leisurely reading session. Happening to be in the right place at the right time, we watched a school of dolpins play in the surf (and surprise a surfer!) in the shallow waters just 10 meters off the beach. 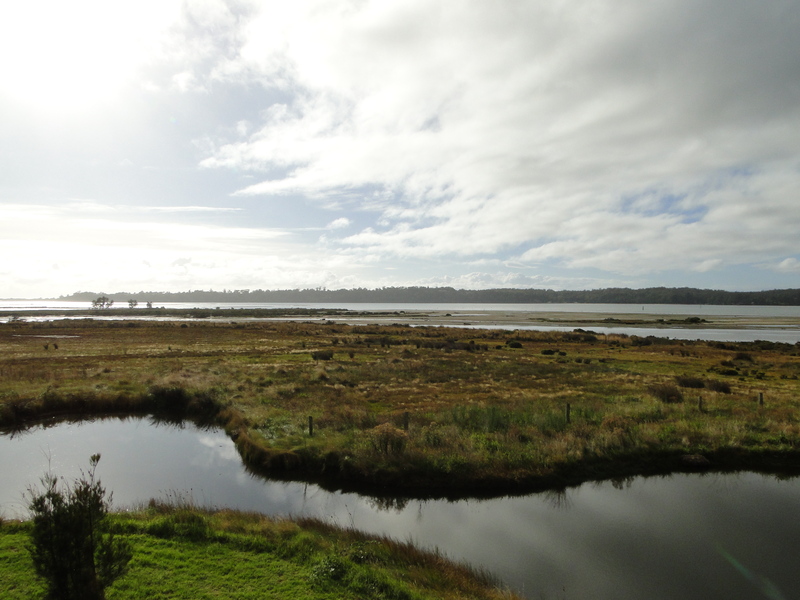 It was a lovely weekend in St. Helens, and reminded us all the reasons we love the great state of Tasmania! Full pictures on the out and about page. Dave and Holly, our Kiwi friends, heard us profess our hiking mission over dinner (and vodka) and decided to join along this week. Claire the vicambulist, spreading the word of walking one person at a time. It was a hot one today in Melbourne. 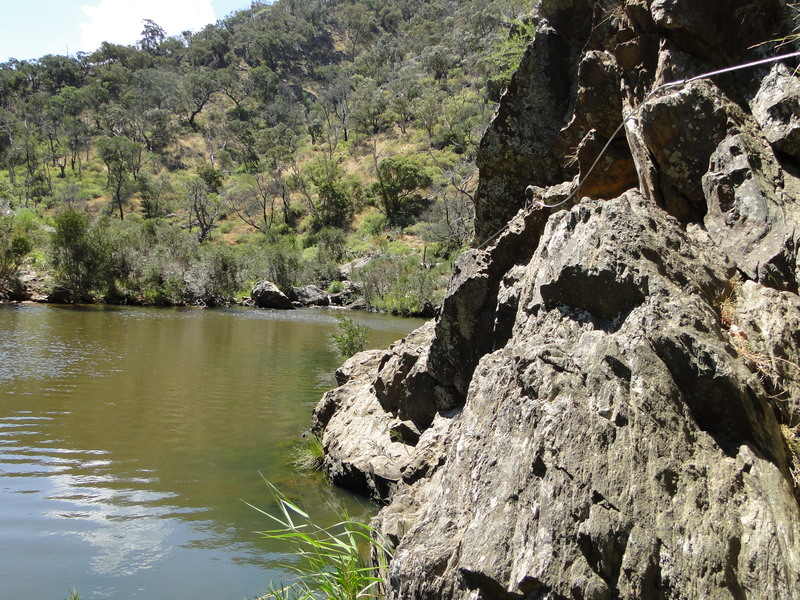 A top of 34, and a series of unfortunate events put us at the trailhead just before midday. 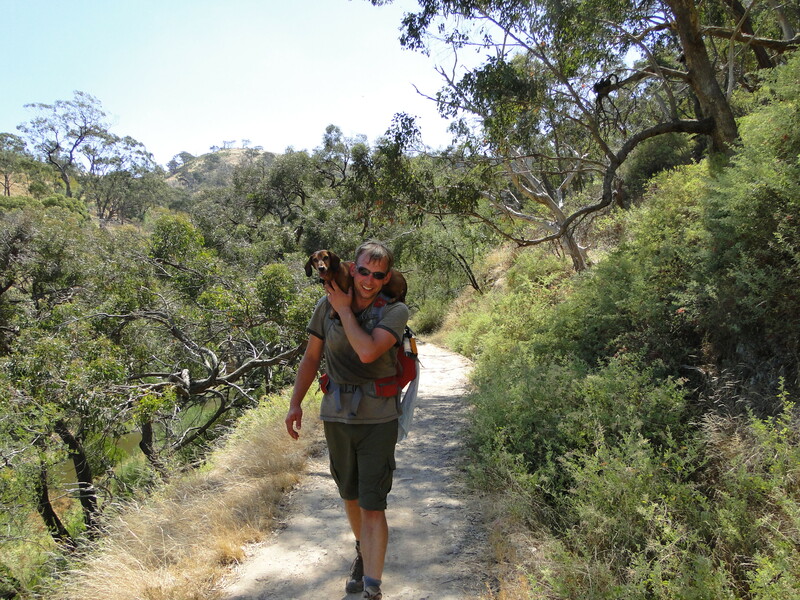 The walk was mostly exposed, and moderate in grade, up and down the gorge cliffs. But although it was incredibly hot, there was a soft breeze, and it was a good, varied trek. 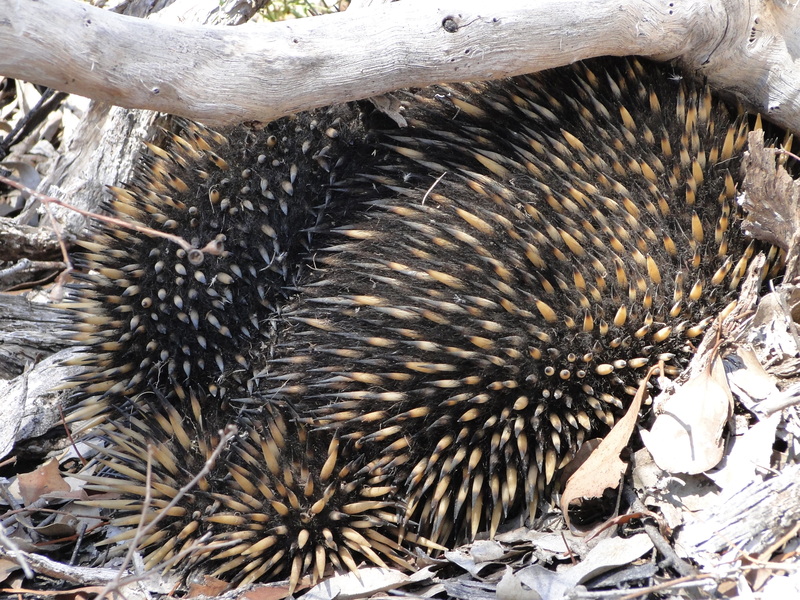 Not more than 20 minutes in, we spotted an echidna. Score another one for Claire & Steve’s adventures spotting furtive Australian fauna! But in the end, sweaty and breathless (and nearly out of water) we completed the circuit. We rewarded ourselves with some snacks and a well-earned cold beverage. All and all, it was a challenging but good hike for week 3.